Want To See Our Website Examples and Features and Services? 1. 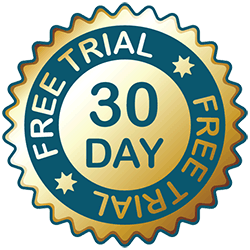 Online ACH rent collection is subject to bank approval and is not included with the 30 day free trial. Rent payment transactions will incur a fee charged to the tenant or property manager when making payments. First linked bank account is included, additional bank accounts may be added for a $10 fee per month for each account. Credit card processing additional. Returned check fee is $25. Early termination fee of $99 applied if rent payment services are cancelled within the first year. Please contact us for more information about rent collection services. 2. Custom branding includes addition of your company logo and your choice of a custom layout and color theme. Logo design available, contact us for a quote. 3. On-line and phone support available Monday through Friday. E-mail support available 7 days a week. 4. Coaching will be conducted through an on-line meeting, where an E-Rental Tools Property Coach will walk you through setting up your account and properties. There is a $60 charge for each additional hour. Save time and let us do your data entry and property setup for $60 per hour. 5. Custom website address subject to domain name availability.